Uncategorized Archives - Medical Marketing Enterprises, L.L.C. Websites Have Two Goals | What’s Your Call To Action? November 17, 2016 by Randall Wong, M.D. A “Call to Action” is an instruction, commonly on a clickable button or hyperlink, to get your reader to initiate an action. In order to effectively grow your practice, your website has two simple goals. These Calls to Action simply invite your readers to subscribe to your email list or call for an appointment. In medicine, we just need two Calls to Action. Read on. The purpose of your website is to grow your practice. Get your potential readers to follow through on 2 tasks and you will succeed. Potential patients are likely to subscribe to your email list to receive your updates on your website. These patient education articles will build trust…and eventually your potential patient may call and make an appointment. 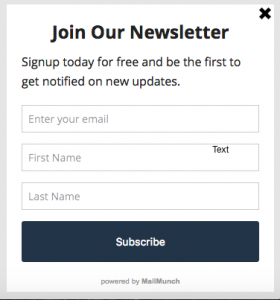 Your “Subscribe Now” opt in box should be somewhere in the upper right quadrant of your home page and “above the fold,” that is, you should be able to see it on the top half of your website when viewed on a desktop or laptop. Readers should be encouraged to “Call Now” to make an appointment. The “Call Now” CTA can be a simple button on your mobile screen which can initiate a phone call. For your laptops and desktop versions, you have a CTA with visible phone number at the end of your articles and also on your “Contact” page, etc. For WordPress users, Call Now Button is a plugin that creates a “call” button on the smartphone versions of your website. By simply pushing this button, your next potential patient can call and make an appointment. In healthcare and medicine, we simply need to our readers to follow 2 Calls to Action. Make sure your website ask them to do so. May 4, 2016 by Randall Wong, M.D. The domain, or domain name, is part of your website address (URL) which uniquely identifies your website. Domains are “purchased” and registered through a registrar. Popular registrars include GoDaddy.com, Bluehost.com or Hostgator.com (our 3 favorites). The purpose of the domain is to allow your new website to be located using a name rather than numerals. It is through this domain name that others will be able to view your new website. Your domain represents the exact location of the files which constitute your website. The domain represents the physical location of your website according to the IP address, which is the numeric equivalent of your address. Because it’s easier to remember a name compared to a series of numbers, we use the domain name. The Internet Corporation for Assigned Names and Numbers (ICANN) oversees the coordination IP addresses and domains on the Internet. Most registrars also offer hosting and other services. For instance, it is easiest to purchase your domain, host your website and setup email all at the same registrar. If you have multiple websites and domains, it is easiest to use the same company. At the very least, it is more efficient to organize renewals through one single company. You are not actually purchasing your domain. You are renting your domain on a yearly basis. 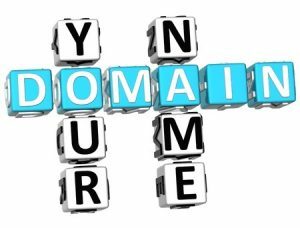 Domain “ownership” expires and needs to be renewed. You may purchase your domain from a registrar. Popular registrars are places such as GoDaddy.com, Bluehost.com and Hostgator.com. All domain registrars will register your new domain with the central governing agency called ICANN (see above). Regardless of where or who you use as your registrar, all domains are registered at ICANN. One registrar is no better than another, but prices may vary. For SEO (search engine optimization) purposes, we recommend purchasing your domain for multiple years. Search engines such as Google are able to determine the length of time you have registered your domain. Blackhat sites are untrusted sites, are shunned by search engines and generally do not register more than 1 year at a time. Once you have purchased your domain, your next step is to create your brand new website. This is not done automatically, but is easily handled with your registrar. Most registrars can also host your website. January 19, 2016 by Randall Wong, M.D. Looking forward to the new year? Building a new website? Here are 3 things NOT to do when building your site. This will also help you understand which products to choose and which products to avoid when choosing hosting, selecting a URL and building a website. Blogger and WordPress.com offer free hosting. You can set up an account, choose a URL and start creating your website right away. Advantages of Blogger/Wordpress.com are that they are free. You don’t have to worry about any maintenance issues with your website as the Blogger and WordPress.com will maintain the servers for you, etc. The disadvantages of free-hosting sites, however are; you don’t have control over your content, there are limited design options and limited function. Most importantly, these websites are more difficult to optimize or perform SEO. Hence, it will be difficult to rank. You also have to take some extra steps, or pay, for a fully customized URL (without the words “blogger.com or wordpress.com” in the URL). To add to the complexity of your decision, there are services offering free website builders along with hosting. Some may charge for hosting. Wix and Squarespace offer website building and hosting…for free. These “ajax’ systems are quite versatile with regard to designing a website, but, unfortunately, they are limited in the ability to be optimized, and therefore, to be ranked with Google, Bing and Yahoo. There are at least two reasons why indexing these types of sites is difficult. First, there are simply fewer options to optimize your content. Second, webpages are not easily indexed by the search engines. Your ability to get your website ranked with these builders becomes tougher. In general, these website builders have a heavy emphasis on design and very little ability to be optimized (hard to perform SEO), thus, they will not rank as well as a website built on a WordPress.org platform. WordPress.org is the only platform which maximizes SEO and offers customized themes. Many of our clients have been trapped in a situation where they have paid for a website to be designed and then are leveraged for a hefty monthly fee to “maintain and host” the website. Almost always, the website ranks poorly and the doctor has no perceptible benefit for this monthly fee. In addition, most of these sites are built on proprietary software (i.e. unique) and it is impossible to move the site to another hosting company because the programs used to create the site are unique. Similarly, avoid situations where a company offers to build a “free” website, but has recurring service fees. 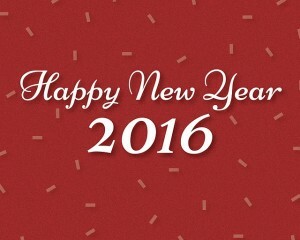 We wish you the best for 2016 and all the best to moving your optimization project forward. 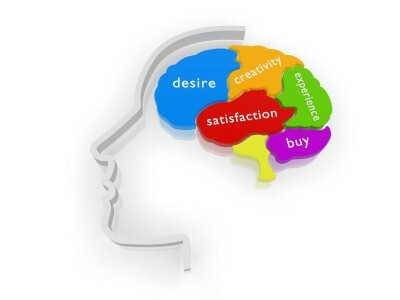 If nothing else, think of ways you can improve your website by improving the content. It’s the content that will get you the website rankings you want. If you don’t have a website, then take steps to move forward. 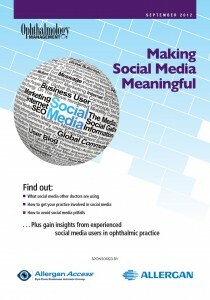 In this modern age of communication, your patients now expect you to be found online. December 3, 2015 by Randall Wong, M.D. The American Academy of Ophthalmology was held in Las Vegas just before Thanksgiving. Here are the talks I presented as either courses or at the Technology Pavilion. As always, if you have questions, please either comment at the end of this post or email me. Optimizing Your Web Presence on the Internet | Randall Wong M.D. | AAO 2015 from Randall Wong, M.D. Live Website Analysis | Randall Wong, M.D. | AAO 2015 from Randall Wong, M.D. Retaining Your Old Patients in a New Practice | Randall Wong, M.D. | AAO 2015 from Randall Wong, M.D. Managing Your Online Reputation | For Physicians from Randall Wong, M.D. Crash Couse in SEO | Randall Wong, M.D. | AAO 2015 from Randall Wong, M.D. Essential SEO Tools for Your Website | AAO 2015 | Randall Wong, M.D. from Randall Wong, M.D. Use Blogging and Social Networking to Super Charge Your Website | Randall Wong, M.D. 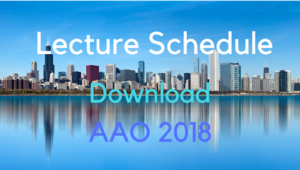 | AAO 2015 from Randall Wong, M.D. Have you considered using webinars to enhance your online, patient centered marketing strategies? If you haven’t now is the time. As you know, the Affordable Care Act has led to consolidations and higher health care premiums. Both pose real challenges, especially for those practices that were barely keeping afloat before the acts passage. Our business has exploded because of the shift from physicians thinking of medical websites as a novelty to a necessity. As our business evolves so do our strategies. Now that more and more practices are gaining a web presence, practices that want to stay ahead of their competition are finding they need to compete at a higher level. Our answer to them is….Webinars! 1. Create a Memorable Experience that will move your viewers to action. Simply put a webinar is a broadcast that is sent to individuals or posted to a website that allows viewers (like your patients or prospective patients) to simply watch or, at their option, participate during a live webcast. All that is needed is a computer and an Internet connection. A webinar may also be referred to as a webcast, online event, or web seminar. What can you do on a Webinar? A webinar typically includes both an audio and a visual component. This allows you to use videos or PowerPoint presentations to convey your message. Your patients get to hear you convey your message and your prospective patients get to see how you interact with people and provide medical information … this is just one more tool to help them decide whether you are someone they should “trust” with their health care. Webinars are a powerful way to get in front of prospective patients and do not require a huge outlay of time and money. In fact, your staff could do simple webinars that show patients how to download forms from your site and complete necessary pieces of paperwork for new visits or surgical procedures. How do I Create Content for my Webinar? Webinars are a huge promotional tool used by businesses to sell a product or convert website visitors into subscribers. Surprisingly, many health professionals forget that they are a business and they are selling a product….Your Services are your PRODUCT. As such, you should structure your webinar in the same way as an on-line business would structure their sales offer. Step 1: Start with your offer. Your offer is the action you want your viewer to take, a.k.a “call to action.” Once you know what your offer is you work from there to create your introduction. Step 2: Introduction. You want to create an introduction that gives you credibility and keeps your viewer interested. Step 3: Body or foundation for your call to action. This is the place that you educate and plant the seed as to why they must take whatever “call to action” you have requested. Step 4: Closing. (really step 1) What is your call to action? What do you want your viewer to do? 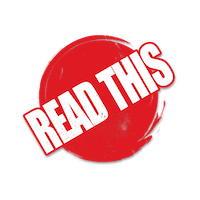 Perhaps, it is to call the office to schedule an appointment or subscribe to your newsletter …whatever it might be don’t forget to include it in your closing. Do you have a website, but no time to create written content? Some of our clients who don’t have time to create written content or, in the alternative, they don’t own their website…meaning they have to pay someone every time they want to add something to their website are choosing to create webinars. Others are simply choosing to increase their exposure by adding webcasts to their site. Whatever your situation you can’t go wrong by trying something new. We will be adding a new webinar tab to our site that will contain valuable information for getting you started on your first webinar. We use gotowebinar.com for our webinars. If you are ready to automate your medical practice (while keeping it personal) try gotowebinar.com for a month. The first month is free and you can cancel if it’s not for you. If you use our link we will get a small (very smallJ) affiliate commission. If you have used gotowebinar.com and have points, tips or concerns, please comment below so our whole community can benefit from your experience! Want to watch one of Randy’s first videos?